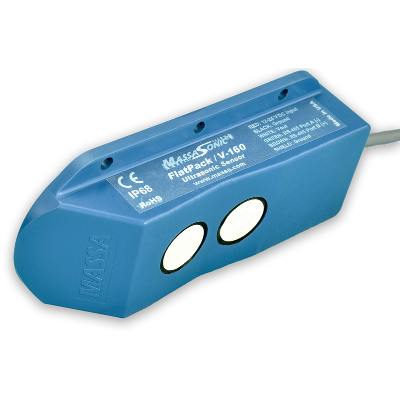 MassaSonic® Ultrasonic Air Transducers boast superior sensitivity and are very price competitive in OEM quantities. With over 165 U.S. Patents awarded, Massa designs and manufactures sonar and ultrasonic products for use in ocean, air, and fluids. We are the eyes and ears for naval ships and submarines that protect the U.S. coastline with our undersea technologies. Founded by the man who pioneered the field of electroacoustics more than 70 years ago, Frank Massa, the company maintains family ownership and leadership. We are set apart by our abilities to solve problems in various fields and environments with our electroacoustical expertise – we can tailor our designs to fit customer needs when applicable. Massa is ISO 9001:2015 Certified. Massa is a leading innovator and pioneer in the field of ultrasonics for use in air, chemicals, and water, and has been for more than 70 years. Massa has developed and manufactured a wide variety of underwater transducers and systems for use specifically by the oceanographic community. Massa Provides the Best Possible Customized Solutions for Sensors, Transducers, and Systems for Distance Measurement. Massa is a Leader in the Development and Manufacture of Transducers and Systems, Including Submarine Sonar. 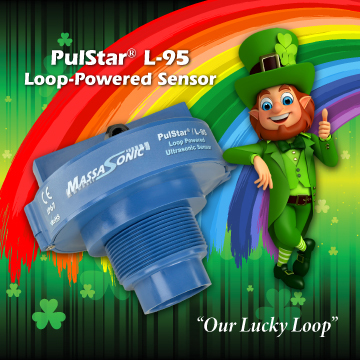 The Lucky L-95 is sure to capture your measurements and maybe even a Leprechaun too. L-95! It’s grand in tanks, process control applications, and anywhere 4-20mA consoled loop-powered monitoring could be of value. Click here to find it at the end of the rainbow. 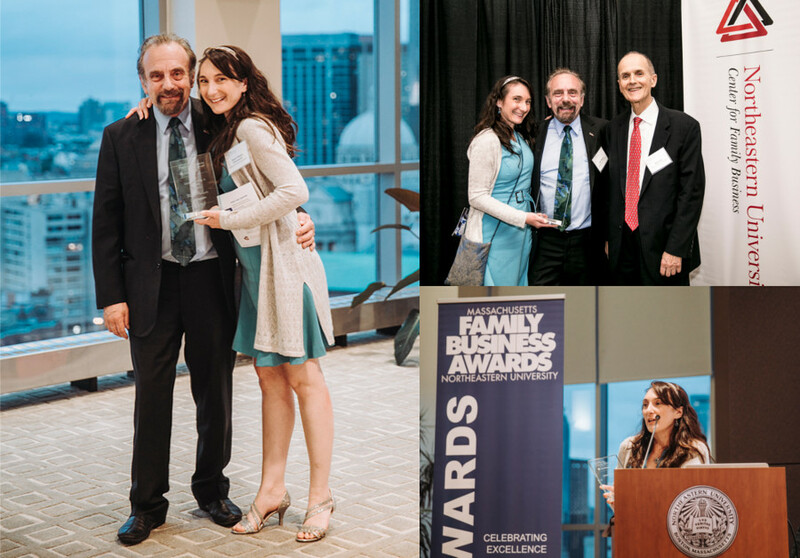 Massa Wins Massachusetts Family Business of the Year Award! 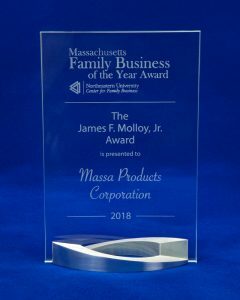 Massa Products Corporation is honored to be awarded the 2018 Family Business of the Year Award from Northeastern University’s Center for Family Business! As a 3rd Generation Family Business with over 70 years of Innovation & Invention, we continue to transform new ideas into successful patents and products. We have, and are grateful for, many employees that help make this a reality, many of whom have spent the longevity of their careers at Massa. 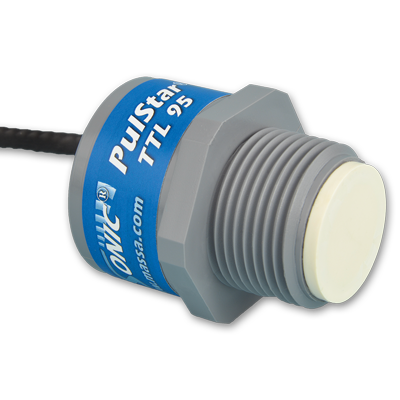 Our new MassaSonic® PulStar® TTL Sensors are small, fast, IP68 rated transmitting modules with C1D1/UL hazardous location compatibility & advanced user control for sensing ranges from 8 inches (200mm) to 13 feet (4m). 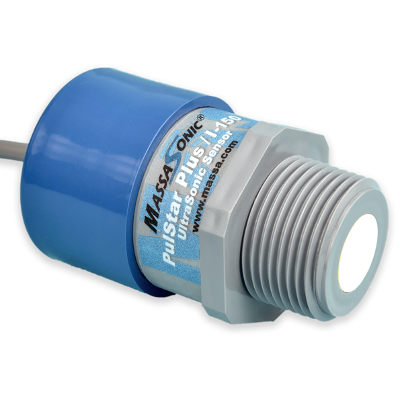 MassaSonic® PulStar® Series Sensors are ruggedly designed transmitting modules that provide reliable continuous level or distance measurements of fluids, pastes or solid bulk materials for application ranges from 4 inches (100mm) to 20 feet (6m). MassaSonic® FlatPack® Series Sensors are ideal for non-contact distance measurements in applications with uneven or turbulent surfaces and tight mounting situations, such as pipes. Detection ranges from 1 inch (25mm) to 13 feet (4m). Book a consultation with a Massa Expert Now! Proven track record for over 70 years. Apply military standards to all our industrial products. Hold over 165 fundamental patents, and are continually developing new technology. Inventive and quick response to customer needs. Family owned and run with long-term employees that care.